Having an intimate relationship with your Creator God and living a life that is pleasing and honors the Lord will “strengthen your immune system” both physically and spiritually. God, in His infinite wisdom, realized that the human physical body He created would come in contact with germs, viruses, bacteria, etc. In order to protect us from these, God built into the human physical body a means of protection. It is called the IMMUNE SYSTEM. Our IMMUNE SYSTEM is comprised of a unique grouping of cells, designed by God, and given the task of identifying and destroying these foreign invaders before they can do significant harm to the body. 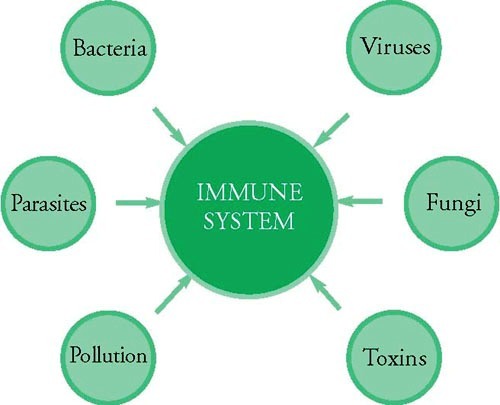 Disease-causing organisms such as those listed above are detected by the IMMUNE SYSTEM, tagged for destruction, and then annihilated by these hungry IMMUNE SYSTEM cells, but only when the IMMUNE SYSTEM is kept strong and healthy and functioning at optimal levels. The IMMUNE SYSTEM God placed into our physical body is designed to recognize even cancer cells, as abnormal and unwelcome. A strong, healthy, IMMUNE SYSTEM, operating at optimal levels will seek out cancer cells and actually destroy them before they multiply if, the IMMUNE SYSTEM is operating at optimal levels. It is of vital important we realize that after God had created the human physical body, with a self-protecting IMMUNE SYSTEM built right in that physical body, God had done His part in providing us with a body that would efficiently handle these harmful germs, viruses, bacteria, and even cancers. Now we need to be informed and act on the role we need to play! It is the responsibility of every man, woman and child (children are the parents responsibility until the child is old enough to take control), that we not place into the body anything that would comprise our IMMUNE SYSTEM, because doing so would render it incapable of fulfilling its God given task of protecting the body. In other words, we must each do everything we can possibly do to keep our IMMUNE SYSTEM in such a condition that it remains STRONG and HEALTHY, and thus capable of fulfilling the task God gave it of protecting our physical bodies. Our daily diet and lifestyle determines whether our IMMUNE SYSTEM is strong and healthy, and working at optimal levels – OR – is weak and ineffective, and thus unable to fulfill its intended function! In other words God has given us the controls that determine wellness or sickness. When functioning at optimal levels, the IMMUNE SYSTEM can recognize, seek out, and destroy all of the bad things in our body. But if our diet and lifestyle are poor, then our IMMUNE SYSTEM will be too weak and compromised, and thus unable to fulfill its God given task of protecting us from these invaders. Eliminate all sugar and allergens from your diet. Just a small amount of sugar has been proven to impair white blood cells up to 50% for very short periods of time. By discovering what our personal food allergies are, then eliminating or desensitizing them will help strengthen your immune system. By removing these triggers, our immune cells are strengthened in order to combat other invaders such as influenza rather than the allergen. The elimination of sugar from your diet can also strengthen/improve the immune system. For additional information click on “The Dangers of refined Sugar”. Air Pollution, smoking, cleaning products will stress your immune system with frequent exposure. Many common household cleaning products contains toxic and poisonous chemicals that are harmful to your health. There may not be much you can do with air pollution, but we can help reduce our exposure by purchasing cleaning products that are safe and non-toxic. Chronic long term stress will suppress your immune system function. The best way to deal with stress is the biblical response – through prayer, trusting in a loving sovereign God, and believing in His promises, we can handle any stress that comes our way, that will affect our of the immune system. Will strengthen your immune system, while intense or extreme exercise may suppress immune system function. Walking is actually one of the best forms exercises available because it can be done virtually anywhere, it is inexpensive, it is low impacting, and easy to do. It is also much less demanding on the body than running. For additional information click on “Weight Loss Information”. During deep sleep, our body release potent immune-enhancing substances that strengthen your immune system function. By not allowing our body sufficient rest, the immune system will sputter, and as a result, not function at full capacity. We then are more likely to become ill with common illnesses. A healthy, deep sleep allows our body to release a significant amount of growth hormone that boosts the immune system and aids in the growth and repair of the body. For additional information click on “TIPS ON GETTING BETTER SLEEP”. Body cleansing is essential because our bodies need to properly eliminate the toxic build up that has formed in our intestines (colon), which may lead to sickness and disease. Our body organs and tissues must be free of toxins for the immune system to function optimally thus enabling our bodies to receive the essential nutrients our bodies need. Years of poor eating habits, low-fiber diets, environmental pollution, and stress cause the toxins to build up and eventually get absorbed back into the body. These toxins affect adversely the functioning of the entire immune system, especially the functioning of vital organs such as the liver, the kidneys, and the colon. A toxic colon eventually leads to a toxic liver, which pollutes the tissues and the bloodstream, resulting in poor health. If you experience one or more of the following symptoms, it is time to take action: Constipation, diarrhea, fatigue and low energy, hemorrhoids, gas and bloating, excess weight, food allergies, impaired digestion, recurring headaches, protruding belly, irritable bowel syndrome (IBS), Candida infections, bad breath and foul smelling stools, and metallic taste in mouth are only some of the symptoms. Just like you external body needs cleaning on a regular basis; you also need a regular cleaning inside your body. Don’t wait until your experience any harsh symptoms. The longer your body is exposed to putrefying food in your intestines, the greater the risk of developing more serious problem like cancer and immune system dysfunctions. Research clearly proves that our bodies are not capable of elimination all the different toxins and chemicals we inhale and ingest every day. They simply accumulate in our cells (especially fat cells), tissues, blood, in our organs such as the colon, liver and brain, and remain stored for an indefinite length of time causing all kinds of health problems. Body cleansing of toxins will improve the immune system function. Water is essential for all living things and keeps our immune system operating optimally while improving the way we feel, look and live. Without sufficient amounts of water, you may experience routine fatigue, dry skin, headaches, constipation, and a decrease normal bodily function which may lead to your body unable to fight off diseases. Without water we would literally dehydrate which could result in the shutting down of vital organs and ultimately end in death. For additional information click on “Our need for water”. Quality food plays a major factor in keeping our cells healthy and our immune system strong. Food not only provides energy to your body, but all the nutrients that are essential for a healthy immune system. Organic, whole, nutrient-dense foods that are free of unhealthy contaminants, containing a proper balance of protein, good fats and carbohydrates are the best foods. It is important to also find foods that easily assimilate into your body and are also rich in vitamins, minerals, enzymes, essential fatty acids (EFAs). A great example of nutrient rich food is Chia Seeds. There is a saying, if it does not rot or sprout, do without. The foods that give life and energy to your cells are, fresh, living, raw, sprouting, and would rot if not consumed in a short period of time. Dietary fiber helps in removing the toxins that have built up in your colon over time, thus allowing the digestive system to function more efficiently. With a clean colon, more nutrients are absorbed from food, and toxins are flushed out of the colon before they have a chance to harm your health. 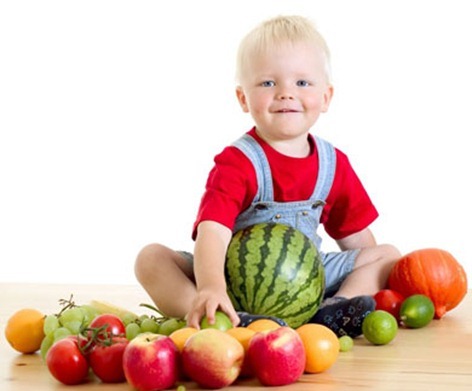 A sample of high-fiber foods—includes fruits, vegetables, beans, and whole grains. These are the “good” bacteria or “microflora” that is vital in helping fight the “bad” bacteria present in our bodies. Probiotics are especially needed if you are taking antibiotics, since they are destroying the good and bad bacteria’s in your body. In order to benefit us, the probiotics must “survive” the trip through our stomach and into our colon where it can promote good health. Immune System supplements are also needed because it is a challenge today to get sufficient nutrition from the foods we eat. The foods we eat are over-processed and void of many essential nutrients, grown in soils that have been over-planted and saturated with synthetic fertilizers and pesticides. It is very challenging in the world we live in to obtain sufficient nutrition with the foods available to us. Vitamin and mineral deficiency subjects us to more diseases, aging, sickness, and the weakening of our immune system. The good news is that it is possible to obtain the nutrients our bodies need from good supplements found in selected foods, vitamins, minerals, and herbs. Where can you buy these Items? Here is a great source. Just copy the link to your browser. If you are Shopping at iHerb for the first time, use my coupon code ROP246 for at least $5.00 off your first order. Wash Your Hands to limit the risk of “catching an infectious disease”. It may sounds simple but maintaining a high standard of personal hygiene care is one of the most effective ways of avoiding infection and keep your immune system strong. The biblical record clearly indicates that diseases are communicable and that the best protection against them is to prevent their spread. God’s Way to Health is not licensed as, or designed to be, a healthcare facility; therefore we do not diagnose conditions, offer medical advice, or prescribe or administer medication. The nutrition and health information resented at the God’s Way to Health Web Site is based on Scripture, research and personal experience, and is offered for educational purposes only. There can be risks involved when changing diet and lifestyle; therefore, as each guest chooses to make these types of changes, we at God’s Way to Health cannot be held responsible or liable for any adverse effects or consequences that may result from your personal choices.